The prophesied desolation of Jerusalem and the Jewish exile in Babylon was by no means the end of Jehovah’s dealings with his renegade nation. 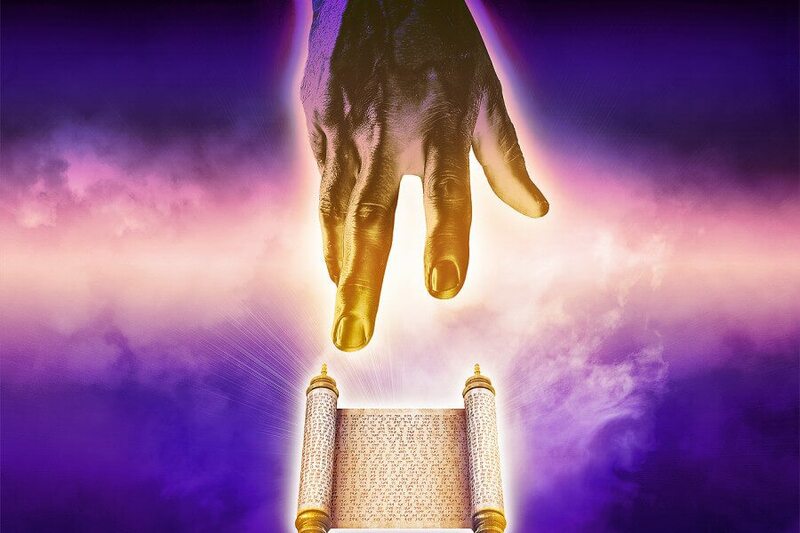 Another significant aspect, not only of the book of Ezekiel, but of all Hebrew prophecy, has to do with the liberation, restoration and revival of God’s covenanted people. Although the nation as a whole, particularly the leadership, failed to live up to the obligations of the covenant into which their forefathers had entered with God, Jehovah did not stay resentful nor did he cast them off forever, but he extended forgiveness and mercy in a very large way to a chastened remnant. But the relationship between God and his people was not to be as before. No, in his compassion Jehovah purposed to permanently repair his relationship with the Jews. At least that is what the prophecies relate. But while it is noteworthy that the repatriated Jews did not resume the degrading form of idolatry that they had practiced before their exile, it is also apparent that the prophecy of Ezekiel only had a relative fulfillment with regard to the post-exilic Jewish society. More importantly, the shadows cast by this portion of the prophecy have profound significance for Jehovah’s Witnesses at the coming of Christ, which is the subject of this article. As Jehovah’s Witnesses well know, the kingdom of David was not restored to Judah after their return from Babylon (only in a typical way). Neither did Jesus become king over the nation of Israel in the first century. For that matter, neither did the majority of Jews accept Christ’s shepherding when he was upon the earth two millennia ago. However, the sheep who did, and who have since, and who will yet accept Christ as their lord, become part of God’s flock of sheep and are placed under the authority of men who serve as spiritual shepherds. And yet the prophecy of Ezekiel foretells that Jehovah will gather back his sheep after they are abused, plundered and scattered about. Since the literal nations of Israel and Judah were plundered by Assyria and Babylon, respectively, long before the time when Christ appeared as the God-appointed shepherd, and as already noted, Jesus did not become the chieftain-king or shepherd of the physical nation of Israel anyway, this means that the sheep of Christ’s flock are destined to become plunder and the shepherds who fail them are the duly assigned overseers of the Christian congregation. Although true Christians have always been persecuted, the prophecy of Ezekiel speaks to a development that far exceeds that which the first century Christians may have suffered. 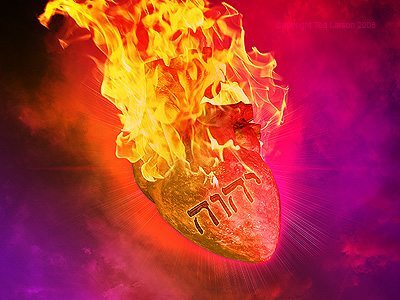 Ultimately the prophecies can only be fulfilled if the entire God-recognized, Christian association is brought to desolation – as were the nations of Israel and Judah originally. Only then can the scattered sheep of God be regathered from their pitiable condition. Since there is nothing in the history of Christianity or the modern history of the Bible Students or Jehovah’s Witnesses that approximates the absolute devastation that befell Jerusalem at the hands of the Babylonians, it must be concluded that the true congregation of God is destined for an unanticipated and unprecedented calamity at a future time. Christ’s prophecy regarding the desolation of the holy place during the tribulation will find its true realization upon the Watchtower Society and Jehovah’s Witnesses. 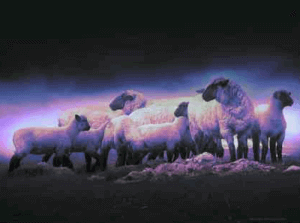 THE GOVERNMENTAL SHEPHERDS OF THE PROFESSED SHEEP? As painful as it may be for Jehovah’s Witnesses to consider these things, the purpose of e-watchman is to vigorously tear down and strip away the Watchtower’s erroneous interpretations of these vital prophecies so as to allow God’s prophetic word to speak for itself – unfettered by the clever constraints imposed upon it by committees of would-be interpreters. In so doing, my intention is to imitate the course of the Hebrew prophets in announcing Jehovah’s judgments upon his people and organization. In view of the foregoing, what does the Watchtower teach regarding the 34th chapter of Ezekiel? 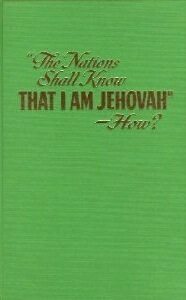 The Society’s last significant commentary on the prophecy was in the book The Nations Shall Know that I am Jehovah, How? – published over 35 years ago, in 1971. 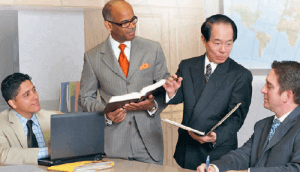 So, the majority of Jehovah’s Witnesses – most of whom have become such since 1971 – are probably not familiar with what Bethel espouses on this important question. Let the reader take note of the fact that the Watchtower cleverly intimates that the subjects of Christendom’s political rulers (“governmental shepherds”) are not really God’s true sheep. They merely claim to be God’s sheep and merely “profess to worship” God. For that matter, the shepherds are not really God’s appointed overseers either. According to the quotation above they are merely “the professed Christian political rulers.” Yet in spite of the pretense of both the people and the rulers (according to the Society’s interpretation) Jehovah intervenes to save the people from their abusive rulers, even though they are not his people. But there are a number of questions thinking Jehovah’s Witnesses ought to reason upon. One: Why would Jehovah refer to the God-defying rulers of the nations as shepherds of his sheep when they do not even claim to be such? The Society’s reasoning is that the prophecy originally applied to the rulers of Judah, and therefore, by extension, to the rulers of Christendom. But did the kings, princes, priests, the older men and judges of Judah and Israel merely profess to be the shepherds of God’s people? No. Absolutely not! All the tribes of Israel were in a legally binding covenant with Jehovah God, which specifically authorized the rulers of his people to properly teach and righteously judge the people under their authority. In that sense they were God-ordained shepherds of the flock. Two: If the abused subjects of Christendom’s “political shepherds” are not really God’s sheep but only falsely claim to be such, why does God refer to them in Ezekiel as “my sheep,” as he does about 17 times in the 34th chapter of Ezekiel? Also, if the sheep are not really true worshippers why does God state that he is personally going to rescue his sheep from the abusive shepherds and heal them? Here is another set of questions for thinking Jehovah’s Witnesses: Why would God expect the despots and dictators of Christendom to feed and care for his sheep anyway? For that matter, how would “political shepherds” even go about binding up the wounds of one of God’s battered sheep? What social program might they enact to regather the scattered sheep of Jehovah’s flock? And lastly: Is it just or reasonable of God to condemn the political rulers for failing to accomplish an assignment that was never their responsibility in the first place? The Watchtower claims that the scattered sheep of Ezekiel’s prophecy are the masses belonging to Christendom’s diverse flocks and that God will supposedly remove the abusive “governmental shepherds” at Armageddon (as well as slaughter the battered “sheep” under their care). Confused? But the Society’s reasonings are even more torturous. Alternatively, the very same publication states that Jehovah has already initiated the prophesied rescue of his abused sheep. But according to the Society, even though Jehovah has already placed his sheep under the care of the shepherd/king, the true sheep are also destined to be scattered by the “political shepherds”! That, of course, does not at all follow the pattern established in the Scriptures. According to the Bible, first the nation (organization) is destroyed. Then the sheep are scattered and fall prey to the plunderers. Next, the shepherd-king regathers and heals Jehovah’s sheep and they are protected to the extent that they shall no more become plunder for the rapacious, beastlike nations. “In the case of ancient Israel of Ezekiel’s day, Jehovah delivered his sheep out of the mouth of the self-feeding shepherds in governmental places by having Jerusalem destroyed and the land of Judah desolated. The king and princes had to vacate their governmental office, being captured by the Babylonians and deported. Some were killed as a penalty for their rebellion. In Babylon they were put in prison or subjected to restraints, being stripped of any rulership. In modern-day antitype, the destruction of Christendom in the approaching “great tribulation” will absolutely deprive the professed “Christian” political rulers of the religious clergy, for the latter will be put out of religious office by the executional forces of Jehovah. Christendom’s clergy will cease to exist. Any worldly politicians surviving Christendom’s annihilation will be reserved for execution in the final part of the “great tribulation,” namely, in the “war of the great day of God the Almighty” at the world situation called Har–Magedon. Here are more questions thinking Jehovah’s Witnesses ought to seriously ponder: If the International Bible Students were relieved from the tyranny of the “political shepherds” in 1919 and were ushered under the care of the foretold great shepherd back then, how can it be explained that Jehovah’s Witnesses since then have been mercilessly persecuted by numerous tyrants comprising what the Watchtower terms the “governmental shepherds”? For example, according to the Society’s interpretation of the 34th chapter of Ezekiel Adolph Hitler was one of the bad “governmental shepherds” to whom Jehovah entrusted his sheep. But if Jehovah’s scattered sheep had already been rescued from the bad shepherds how would it have been possible for Hitler and his Nazi regime to skin, scatter and slaughter thousands of Jehovah’s sheeplike people? So, the very same publication teaches that since 1919 Jehovah’s people can no longer be the prey of ruthless political rulers, but in the very same context the Society also states that Christ will rescue the sheep that are dispersed during the persecution to come. This is a classic example of what Jehovah describes in Ezekiel as “double-faced divination.” That is, having two different interpretations of the same prophecy in order to conveniently bend reality to fit their teaching. No reasonable Christian would argue that God is going to hold ruthless political rulers responsible for neglecting to shepherd and spiritually care for his dear sheep. As every one of Jehovah’s Witnesses knows it is Christian elders who have been charged with the responsibility of caring for the sheep of the flock. But if Christian overseers and teachers are to “render and account” and “receive heavier judgment,” this begs the question: When does the foretold judgment of God’s shepherds take place? According to the teachings of the Watchtower Society, Christ has already judged his slaves who were assigned to feed the servants of his household. But even if that were true, in what way did the overseers and teachers of God’s congregation “render an account” or “receive heavier judgment” back in 1918? Obviously, they did not. Besides, the organization’s present elder arrangement did not even exist back then. And that entire generation of International Bible Students has passed on in death anyway. Not only that, but the prophecy indicates that once Jehovah’s messianic shepherd is installed then that is the end of the era during which God allows earthly shepherds to have authority over his flock. So, when does the foretold judgment of God’s shepherds take place? According to the prophecy under consideration God’s sheep are delivered from being “spread abroad” all at once; not gradually or individually over a century of time. It is also apparent that the sheep are all scattered – the entire flock – not just a few individual lambs. Furthermore, the scattering takes place “in the day of clouds and thick gloom.”What might that signify? According to the Know Jehovah commentary the symbolic “thick gloom” covered the earth in 1914. But if that were actually true that would mean that the gloomy conditions that enveloped the world back then have since lifted and that the human political scheme of things has saved itself from doom. Let the discerning reader take note of the fact that both Zephaniah and Joel connect the “day of clouds and thick gloom” with “the day of Jehovah.” And not even the besotted spiritual inebriates in Bethel’s Writing Department suppose that Jehovah’s day occurred in 1914. Hopefully it is apparent to the relatively few spiritually sober persons examining the prophecy of Ezekiel that God’s sheep are destined to be scattered – as well as regathered – during “the day of Jehovah,” which is to say, during the now-oncoming great tribulation. Although the elders and the Watchtower Society itself are unquestionably responsible for stumbling countless numbers of Jehovah’s Witnesses and are doubtlessly guilty of neglecting to tend to the many lost and straying individual sheep, apparently that is not the primary reason Jehovah is going to ask for his sheep back from the hands of his appointed shepherds. What is the reason then? Even as the apostles were all stumbled and scattered when Jesus was put to death – in order that the prophecies might be fulfilled – so too, the flock of God in existence at the beginning of the day of Jehovah is destined to be scattered. Although the arrest and execution of Jesus accomplished the fulfillment of one facet of the prophecy of Zechariah, obviously it did not initiate the day of Jehovah. At the present moment the “day coming, belonging to Jehovah” is still coming. The primary reason the apostles were thrown into confusion and scattered when Christ was struck down is because they were spiritually blind and simply could not grasp the simple truth when Christ spoke about his impending death. Similarly, Jehovah’s Witnesses have no inkling of what is to befall the organization. And the Bethel leadership, by their own ignorance and sheer arrogance, has insured that the flock will remain in a state of blindness up until the day of Jehovah erupts in all its fury – when they will then all be scattered and plundered. Any well-meaning brother or sister who might try to shed light upon the present situation using God’s prophetic word would be summarily disfellowshipped from the congregation for daring to contradict Bethel’s edits. Jehovah’s asking for his sheep back from his earthly shepherds marks the end of the Christian congregational arrangement as it has existed in its various forms from the time of Christ until the present. Just like the Jewish system of things, the earthly organization composed of Christian institutions will by then have also served its purpose, at which point Jehovah will cease from using it as his instrumentality, and subsequently have it destroyed by an earthly political agency assigned by prophecy beforehand to do the task. The resulting tumult and trauma will serve as the means by which God will humble, discipline and refine his people. So too, Jehovah is the God of Christians even before antitypical Jerusalem is desolated and the chosen ones go into captivity to the nations. So, the expression “I shall become their God” denotes a positive change in the relationship between God and man. They become his people by virtue of an act of God to reconcile his people to himself by forgiving their error. [s] with them a covenant of peace”by granting them entrance into Christ’s kingdom. A covenant of peace between God and his people – essentially a peace treaty – signifies the end of God’s disciplinary action toward those in the new covenant. Up until then the earthly congregation is used by God to teach and correct those who are called to be God’s heavenly sons. But the initial act of Christ at his coming is to subject the congregation to the refiner’s fire and afterwards to finish acquainting the sons of God with the Father by fully revealing Jehovah to them. (Also know as the revelation of Christ) In this way the new covenant is concluded and Christ’s mediation between God and men comes to an end. It will then no longer be necessary to teach any of the then chosen 144,000 sons of God to know Jehovah, which is the purpose of Christ’s mediation. They will all know him, completely. The implantation of God’s law in the hearts and minds of his worshippers is not accomplished by ordinary means, such as through Bible study. Although God’s spirit has always been there for the asking, some may be under the impression that it has already been given in its fullest expression; however, that has not been the case. Even those who have been anointed by God’s spirit are yet to receive the holy spirit in full measure. 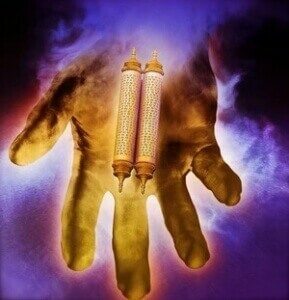 That is apparent by the fact that Paul described the anointing spirit as a mere “token” of what is to come. Although the Watchtower Society has misapplied the prophecy of Ezekiel either to Christendom or to the period of 1914-1919, the truth that lies immediately behind the veil is that only Jehovah’s Witnesses can cause the sacred name of God to be “profaned among the nations.”And although the International Bible Students used the holy name of God, the name of Jehovah was not nearly publicized among the nations back then as it has been in more recent decades by Jehovah’s Witnesses. But how have Jehovah’s Witnesses profaned the name of Jehovah and how will God sanctify his name in the future? Those questions will be discussed in the forthcoming, concluding essay on Ezekiel.